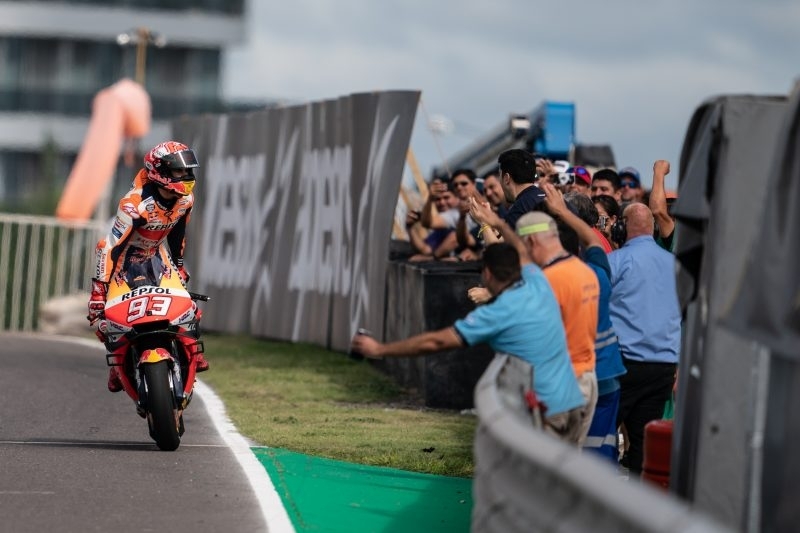 Overnight rain in Termas de Rio Hondo didn’t deter the MotoGP field during morning Warm Up, both Repsol Honda Team riders running consistently in the top ten. 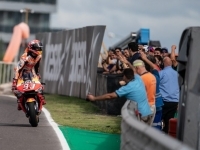 Marc Marquez again finished on top, Jorge Lorenzo within a second and in 11th after the 20-minute session.Forecasts were all proven wrong as the 25-lap Argentina Grand Prix ran without even a single drop of rain and instead the grid was met with ever-climbing track temperatures. 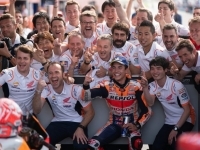 A lightning start saw Marc Marquez convert his pole position into a one second lead after just a single lap, the reigning champion never once looking back. Lap after lap his advantage grew, Marquez over 12 seconds clear before the end of the race. 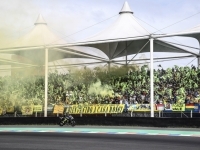 Crossing the line 9.816 seconds ahead of second placed Valentino Rossi, Marquez claimed his first win of the season and his third win at the Termas de Rio Hondo circuit in untouchable style. 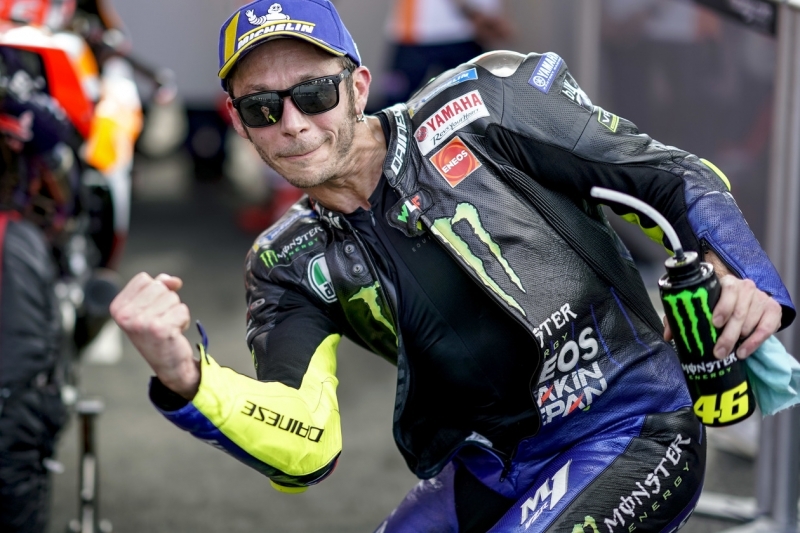 Monster Energy Yamaha MotoGP‘s Valentino Rossi saved the best for last at the Gran Premio Motul de la República Argentina weekend. He used his experience to cunningly make his move - a perfectly executed block pass - in Turn 7 of the very last lap, to take a superb second place. 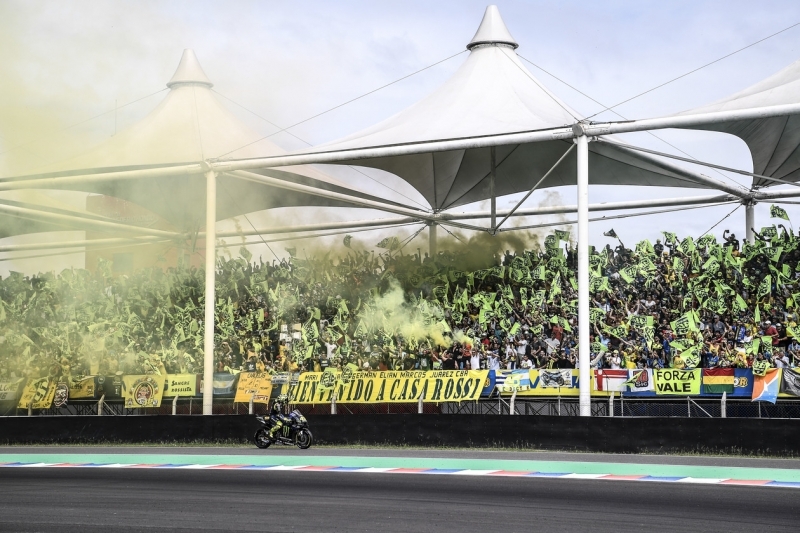 Rossi had a strong start from fourth on the grid, held his position in the first corner, and shortly after moved up to second place. He aimed to prevent any riders from checking out at the front but didn't succeed, as he fell back to fifth in the busy group. Not for long, though: he steadily worked his way back to second place to lead the chasing pack. Despite running wide on lap 7, he quickly made up for the lost time. When he was back in second place a lap later, the crowds were on their feet. As Marc Marquez was already over 6s ahead thanks to the battles of the chasing group, the Italian focused on defending his position. Today's results see Rossi climb to 3rd position in the championship standings with a 10-point gap to second and a 14-point margin to first. Viñales is now in 11th place, with a 36-point gap to first. 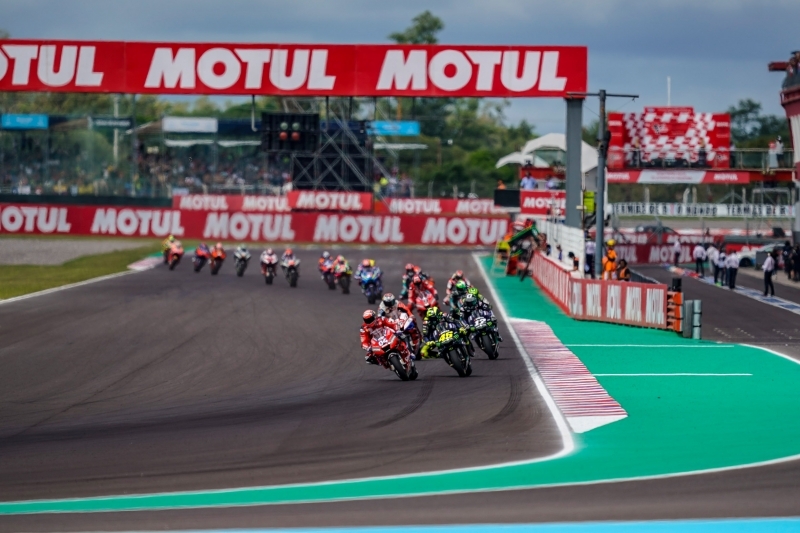 Yamaha is third in the constructor standings, and Monster Energy Yamaha MotoGP holds the same position in the team classifications. 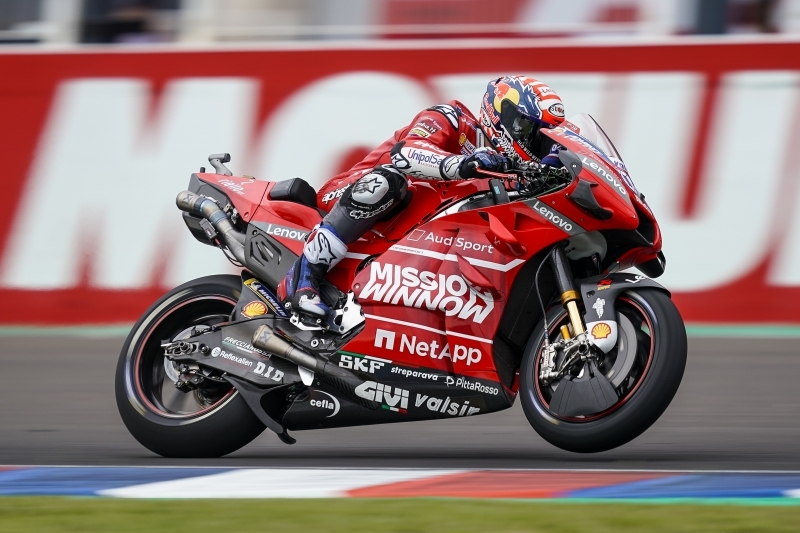 Andrea Dovizioso By Mission Winnow Ducati team stepped on the podium once again today at Termas de Río Hondo (Argentina) with Andrea Dovizioso, third on the finish line. 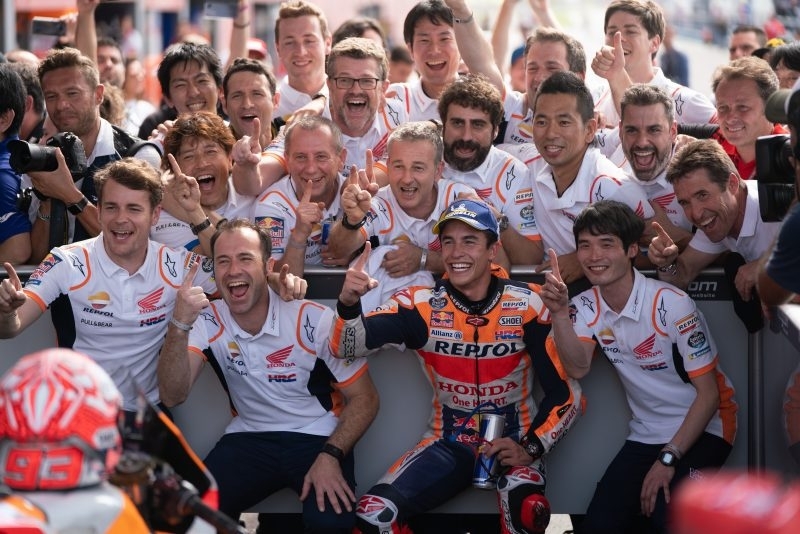 The Italian, who started from first row, dictated the pace within the group of riders fighting for the podium while chasing Marquez, and held second position for most of the race to fend off his rivals valiantly until the very last lap before facing a drop in tyre performance. 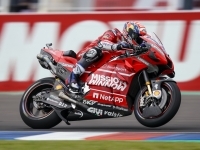 Dovizioso's third-place finish marks his second consecutive podium in 2019 after a thrilling victory in Qatar and puts him in second position in the championship, just four points behind the provisional leader. Honda now moves to the top of the Constructor’s Championship as a result of the victory. 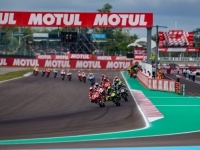 The MotoGP World Championship prepares to travel to Austin, Texas for round three of the 2019 championship at the Red Bull Gran Prix of The Americas, April 12 -14. 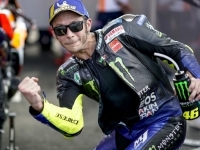 VALENTINO ROSSI #46 - 2° "It's been a long time – since Sachsenring last year – that I've been on the podium. This second place is especially satisfying, because at the last two races last year, Malaysia and Valencia, I was lying in first and second place, but I made some mistakes. Finishing the championship like that was very difficult to accept, so also for this reason this result is so important for me, my team, and Yamaha, after a difficult period. I'm so happy! I tried to stay in front, because I expected to be faster, but today with the increased temperatures I struggled a bit more. 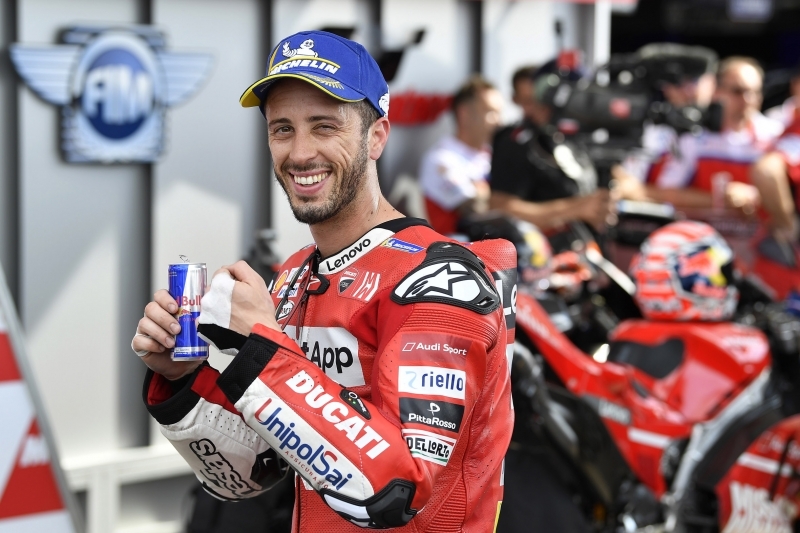 Dovi stayed in front of me and rode a very good race with a good pace. We were able to break away from the guys behind us and be on our own. In that moment I knew I had to be very precise on braking to take second place, without making any mistake of even 1cm, else Dovi would pass me again. At that moment I was riding good, I entered very fast. I'm happy because, first of all, overtaking on the last lap is always special, and also because I did very good on braking." 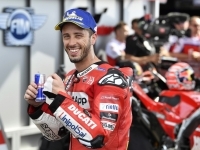 ANDREA DOVIZIOSO #04 - 3° "I'm undoubtedly happy with the podium, which was our goal ahead of this round on a historically difficult track for us. On the other hand, I'm not particularly satisfied with how the rear tyre performed, because we couldn't pull away towards the end of the race, which is the opposite of what we expected in light of what we've seen during practice. In the last lap, I couldn't shake off Rossi or pass him back, it would have been too risky and 16 points are still very important for us. For sure, we collected some interesting data, which we'll analyse in depth ahead of next race. Austin is yet another tricky track for us theoretically, so our goal in Texas will be to try to step once again on the podium."